Dekra Automotive has acquired vehicle inspection and fleet management firm Gain Solutions for an undisclosed amount. 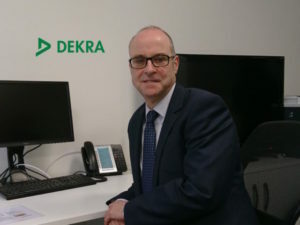 Dekra already offers a number of services in the fleet, retail, aftersales and support services sectors, including vehicle defleeting and bespoke vehicle inspections, and recently appointed Jon Stevens as its new head of sales as the company looks to further increase its support to fleet and automotive firms. Dekra said the new acquisition would consolidate its position in end-of-term appraisals and peace-of-mind technical inspections. “This acquisition significantly expands our capacity to perform independent vehicle inspections in the UK, for a client base that is increasingly interested in the transparency of neutral vehicle inspections” said Paul Bradbury, newly appointed managing director, Dekra Automotive. The acquisition will see Gain Solutions’ chairman Robin Watson and managing director Marcus Blakemore remain with the team.